Courchevel is a holiday retreat especially for horse and nature lovers! Courchevel is nestled on the high slopes of the Franschhoek Mountains on a private and secure wine estate amongst the vines. You will be swept away upon arrival by the stunning views from this beautiful estate. 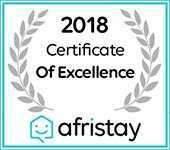 The farm offers 6 uniquely designed, self-catering cottages that are fully equipped for you to enjoy a comfortable and relaxing getaway. 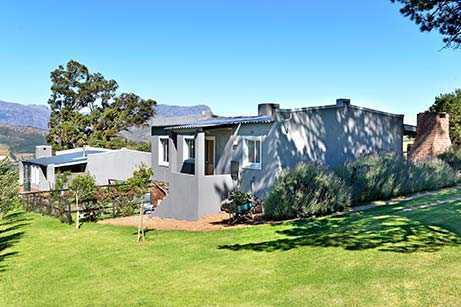 If it is sipping away on your favourite bottle of wine in front of the fire place, enjoying a braai with your family and friends or taking a dip in the communal pool, this will definitely be a getaway to remember. 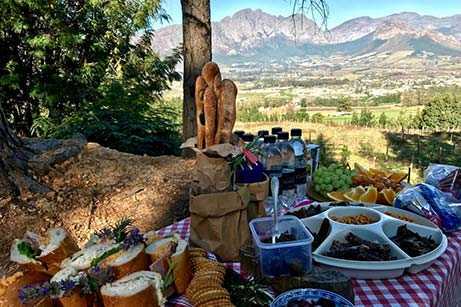 Franschhoek boasts several world class restaurants and eateries offering a wide range of cuisine to suit any palate. Courchevel offers an entrecôte experience in the true French tradition and in the exclusive atmosphere of the stables between the horses. Booking is essential (Group of minimum 10, max 20 people). 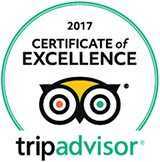 If you are unfortunate enough to miss this exclusive opportunity, you can enjoy various other award winning restaurants in Franschhoek. The farm offers tranquillity and an escape from modern life, but is still within easy reach of many activities such as trout fishing, hiking and cycling to mention just a few. WiFi is available to those who may need it. 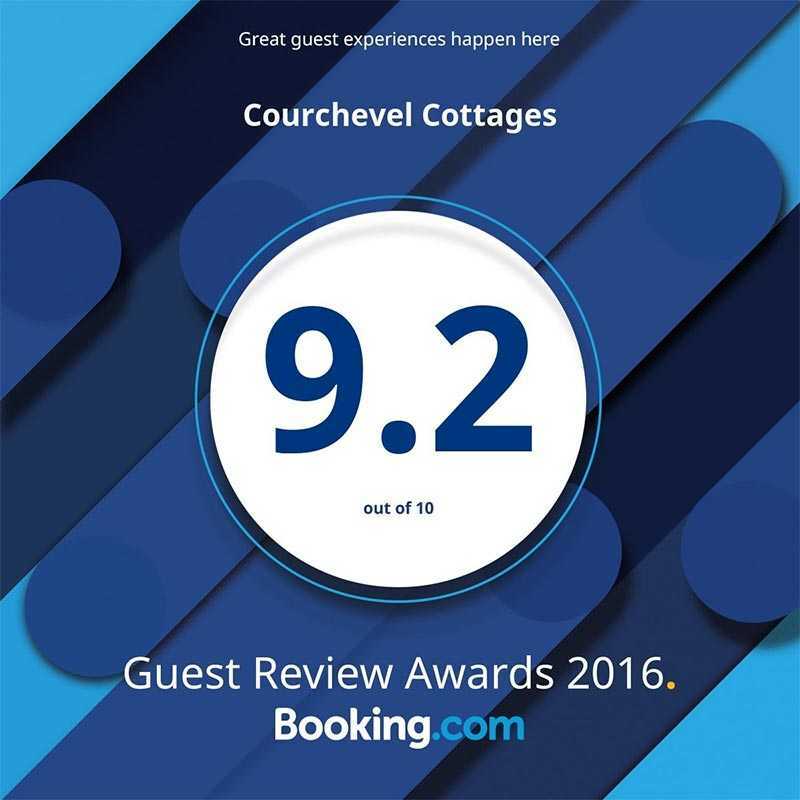 Courchevel Cottages are a perfect all year round holiday retreat specially for horse and nature lovers! 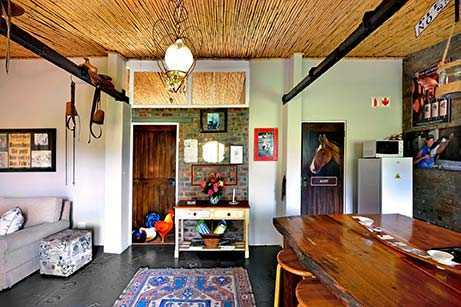 Courchevel is nestled on the high slopes of the Franschhoek Mountains on a private and secure wine estate amongst the vines.The farm offers 6 unique designed self-catering cottages fully equipped to enjoy a comfortable relaxing getaway. 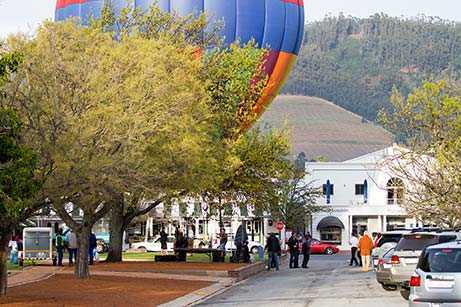 Franschhoek offers the visitor a complete, encompassing experience! from eating out to wine tasting. 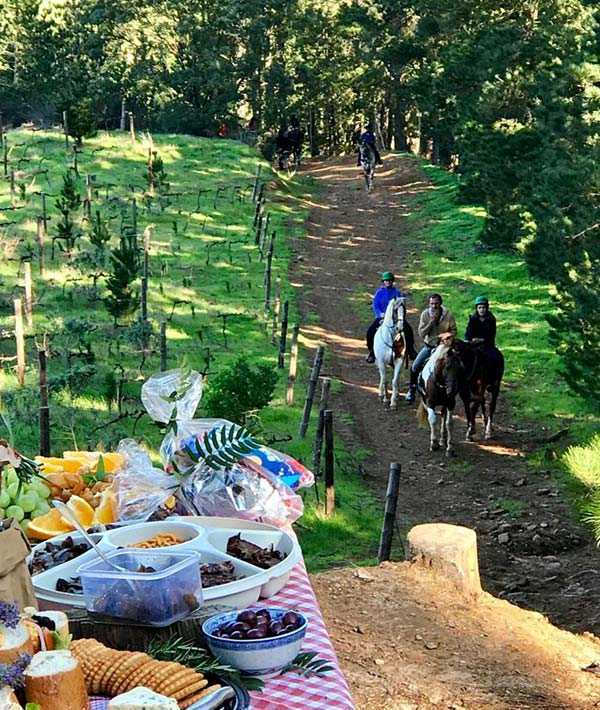 If you prefer, take a one hour horse ride on the farm or a sunset ride with a picnic and wine enjoyed at the view point on the slopes of the mountain. 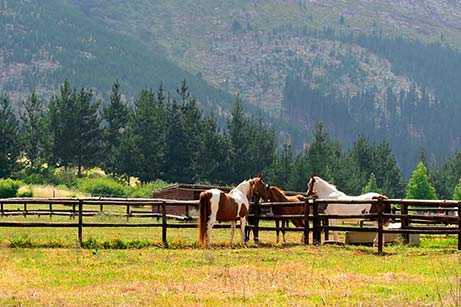 Courchevel Cottages are very reasonably priced and guests have a choice of six peaceful and superbly finished cottages to choose from, with absolutely stunning views of the Mountains, The Franschhoek Valley and The Village. Sonja and Graeme, your hosts, would be thrilled to welcome you to Courchevel Cottages. Coenie is our farm manager and right hand man. 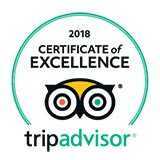 Should you have any questions about our Cottages or anything else, please feel free to get in touch.